How We Test Blu-Ray DVD Players - Which? We rigorously test Blu-ray DVD players for picture and sound quality, upscaling and ease of use to ensure you buy the best Blu-ray DVD player for your home. We independently test a wide range of Blu-ray players to help you choose the best model, and to be sure that each one really does live up to its claims. What's the Blu-ray player picture and sound quality like? What's the Blu-ray player 4K upscaling like? 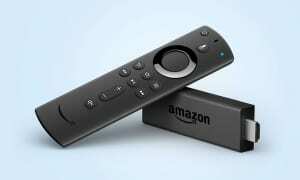 How quick and easy is the Blu-ray player to use? 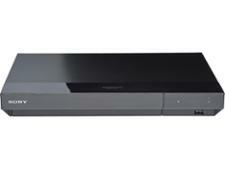 Want to see reviews of great Blu-ray DVD players that excelled in our picture, 3D and 4K tests? 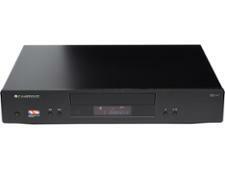 Take a look at all of our Blu-ray DVD player reviews. Viewing and listening tests in our purpose-built room forms the backbone of our Blu-ray DVD player testing. Each player is connected via HDMI sockets to a high-quality TV and compared to a benchmark Blu-ray player (connected to an identical TV). DVD and HD Blu-ray picture quality: assessed by our expert testers using extracts from a collection of high-definition Blu-ray discs, and standard definition DVD material. 3D quality: for 3D fans seeking the perfect match for their 3D TV, we uncover which 3D-capable players will make you feel immersed in the action or could give you a headache. Sound quality: rated by our expert listeners using classical, pop and jazz music, speech and sound effects from film material. 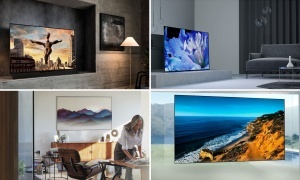 4K upscaling: Most people have a Full-HD TV in their homes, but those with 4K - or Ultra HD - are available. While 4K TVs can upscale content to ultra high-definition (Ultra HD) quality, we assess how well the dedicated Blu-ray player does this with Blu-ray's 1080p high-definition material. What's the 4K upscaling like? As 4K TVs make their way onto the shop shelves and into living rooms, so too are players capable of upscaling Blu-ray discs to 4K resolution. 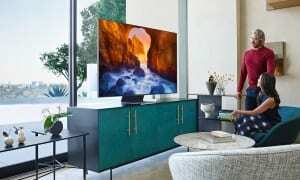 If you've bagged yourself a brand new 4K TV, you can see whether or not the player you want will upscale HD Blu-rays in decent quality or not. This feature is made possible due to a clever mixture of both software and hardware, meaning that it can differ from device to device and manufacturer to manufacturer. When executed well it looks like you're watching true 4K footage on that lovely TV of yours. When executed poorly, it simply looks like a distorted, blurry mess. Only the highest-scoring models become Best Buy Blu-ray players. Our ergonomics experts then go through an extensive process trying out the Blu-ray player's various functions and features in the way consumers would use them, then assessing how easy and intuitive each is to use and whether there are any significant drawbacks that would prevent us from recommending the product. One particularly frustrating aspect of some Blu-ray players is the amount of time it takes the blue laser to read the information on disc, making Blu-ray players a little sluggish to operate. To identify the worst offenders, we measure the time it takes to perform some basic functions. 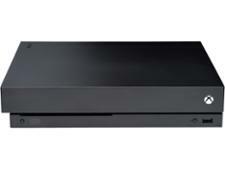 Switching on and opening the tray takes about 10 seconds on a normal DVD player, but some players are much slower, especially when loading a Blu-ray disc. We witness the most slothful taking twice as long to load one, never mind playing the Blu-ray disc itself. Cup of tea anyone? A poor menu layout can also be another source of frustration, particularly if you want to use extra features like playing files from an external USB drive or accessing smart apps like BBC iPlayer. It's even worse if you find there are few apps or they're slow to load. We delve deeper to check what features you get, what it's like to use, and the picture quality you can expect when streaming video. 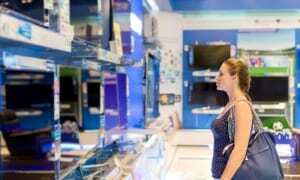 Blu-ray players have to score 70% or more to be named a Best Buy. Those that score 45% or less are marked as Don't Buys. We buy every Blu-ray player we test and look at models of all types, sizes and price, from £50 basic models to the latest big-name 4K Blu-ray players priced at over £250. We mask out brand names to eliminate any bias and sneak in the same products twice to ensure consistency. Our experts complete a lengthy score sheet that our statisticians analyse to ensure the ratings we publish represent real differences. Underpinning this is a raft of over 50 technical tests that explore each Blu-ray player's capabilities and limits, plus around 150 feature checks, where we test and log what they can do. Due to improvements in our testing procedures to account for new features and developments, please note that scores of Blu-ray players tested in 2013, 2014 and 2015 are not exactly comparable with each other. For Blu-ray players tested in 2014, key ratings are broadly comparable with those tested in 2013, but improvements include new clips for picture quality tests including Blu-rays upscaling to 4K, and checking the range of extra features, such as Smart TV, networking, and smartphone apps, and how easy they are to use. Our testing procedures in 2014 and 2015 are very similar, and scores for 2014 models are broadly comparable with those you'll see for models tested in 2015 or later. Models from 2015 onwards are all tested exactly the same.